Nintendo is back with more concept art for Super Mario Odyssey, this time focusing on Bonneton. 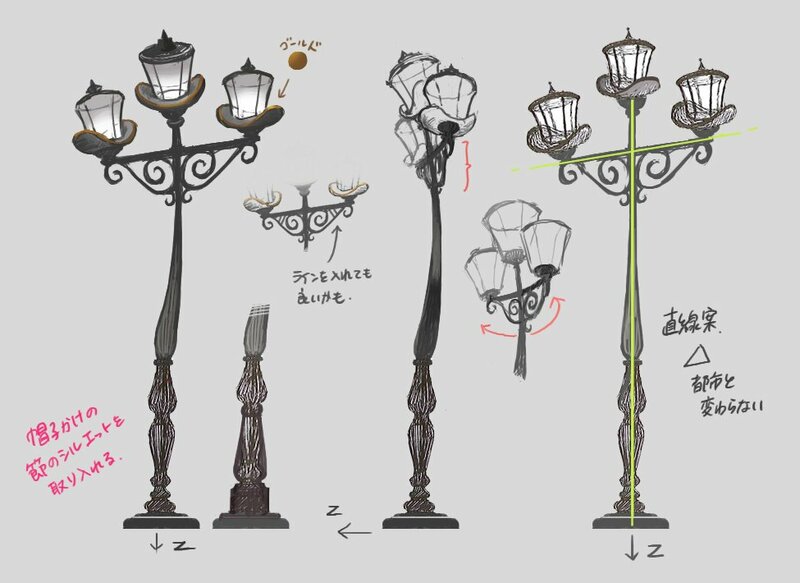 The streetlights shown above were intended to look like hat racks to match the style of the Cap Kingdom. By using a curved design, they’re able to stand out from New Donk City’s streetlights.